Leafing through one of my numerous Midland Red books last night, I now contemplate what bus riders of red days past might make of their journey today, in vehicles of “aquamarine & sandstone” provided by the German state railway. I’m currently sweating a few pounds off in one of such vehicles – an elderly but reasonably smartly turned out vehicle with the heaters belching out more hot air than my local MP (whom I scoured the Parliament Channel for last night whilst the HS2 debate was on, but nowhere to be seen – he isn’t “for”, by the way, despite me giving up 20 minutes to lobby him last year). of Bilston bus station due to it “pulling to the left” (at least the driver was polite enough to tell us his malfunction), I now find myself on a random Arriva 334 to Walsall with a driver who doesn’t know the route. A local shopping – laden lady is kindly providing human sat nav. And I thought the Germans were super efficient. Ignore the title. I’m not actually “OnThisBus”. 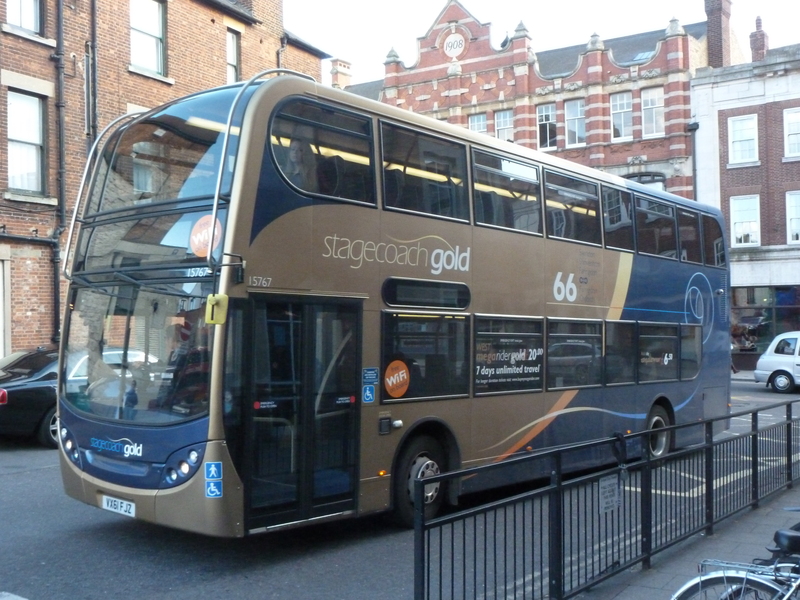 But I thought I’d start this blog on a positive note with one of better buses you can ride on in the UK. OnThisBus as a blog refuses to be pigeon-holed. There are plenty of blogs in this here cyber-world that are created to rant about transport. They achieve very little. Others are aimed at enthusiasts, with images of Routemasters and constant reminders that Cliff Richard, actually, didn’t befriend one of the classic London bus types that even your average Joe knows the name of. We all know it was the model before (the RT, if you really weren’t aware, or even care). No, OnThisBus will be an occasional ditty of jottings accrued by experiencing that most British of activities – riding OnThisBus. We all know that Britons today love a bit of Oneupmanship. Their car is a metallic statement of who they are – hopefully designed to prove they are “considerably richer than yow” (to coin a phrase from a certain Harry Enfield character) – but these people are kidding themselves. The car might have brought a real sense of freedom to the baby boomers in the sprawling post-war years, but our small island is now teeming with infuriated road-ragers who have had to learn in the cruelest fashion that their huge investment in their personal 4-wheels has brought them anything but the advertising agency’s heaven-like vision of empty highways and sun-drenched horizons. So are buses the answer? The future? A relic from the past? Something to be despised as a poor man’s transport? An efficient way of moving large numbers of people sensibly? You choose. OnThisBus isn’t anti-car. That would be too easy. But is the bus as mainstream in people’s lives as it ought to be? Some use them every day. National satisfaction rates are high. Others see them as the work of the devil. Something they last used on their very last day at school before they went out to make something of themselves. Buses are for life’s losers and poor people, yes? Or are buses for enlightened citizens? No road rage, no parking problems, and endless time to look at overweight cats on Facebook? Or are buses for all of us? And if not, why not?